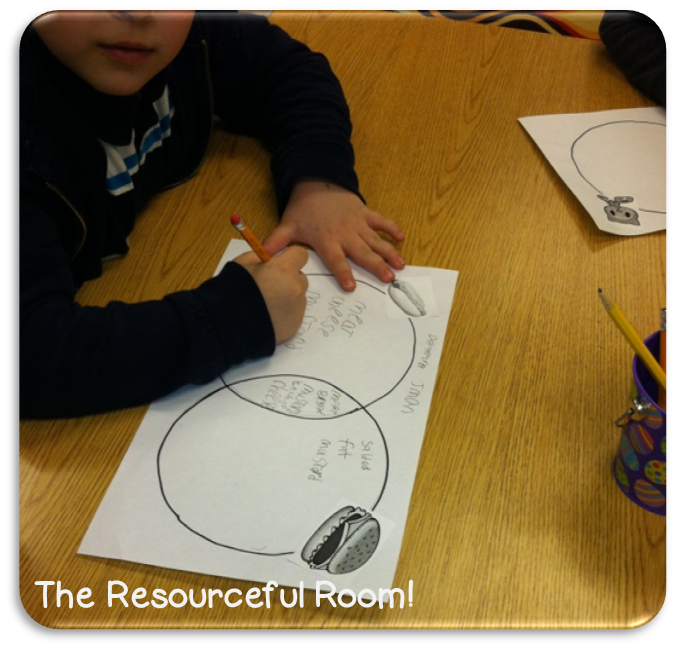 Compare and Contrast with beginning readers! 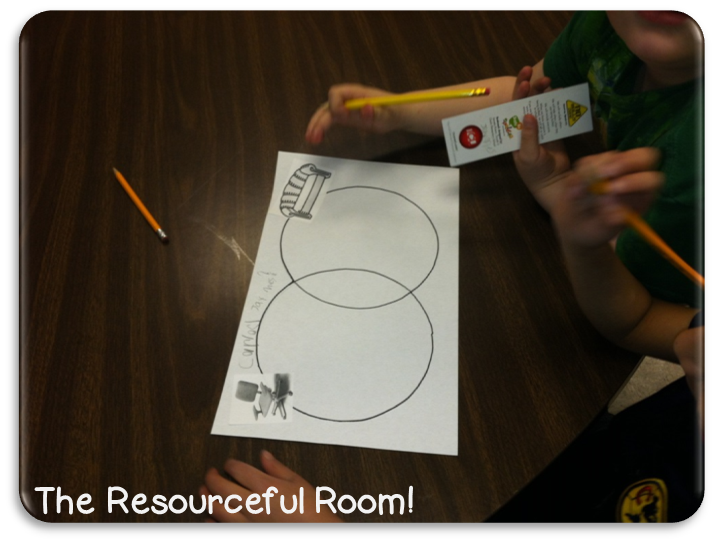 *Freebie - The Resourceful Room! 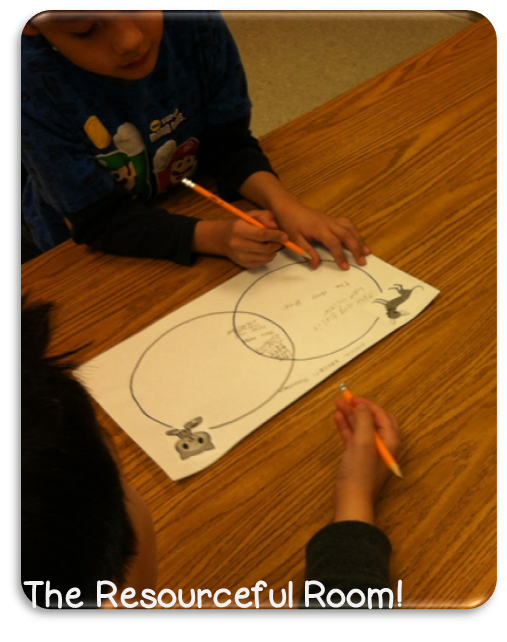 My first graders have been working on comparing and contrast. They aren't quite fluently reading and in order to work on the skill without them being hindered by their reading skills we started out small! 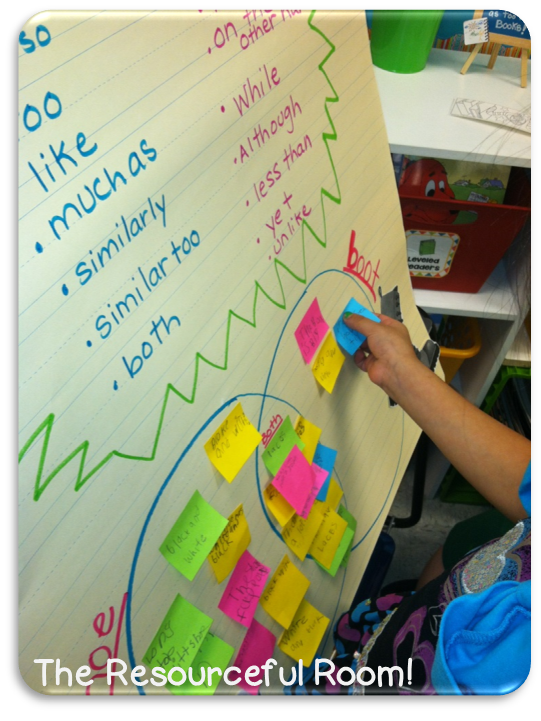 We created an anchor chart together going over what compare and contrast are. We described it as telling how things are alike and different. We went over some key words that help us describe things that are the same and different. Then we compared a shoe and a boot together. 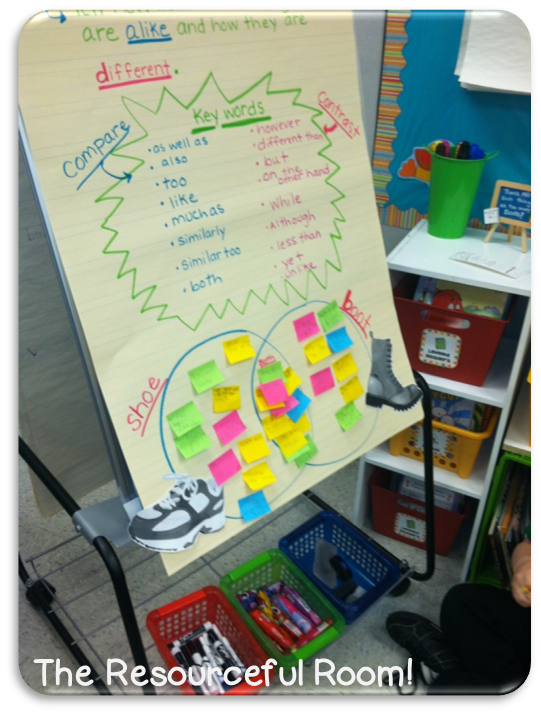 Students wrote ways that the shoe and the boot were the same on their sticky notes, we read them out load and decided if we agreed or disagreed. Once we agreed something was the same we placed the sticky note in the middle of our Venn Diagram. 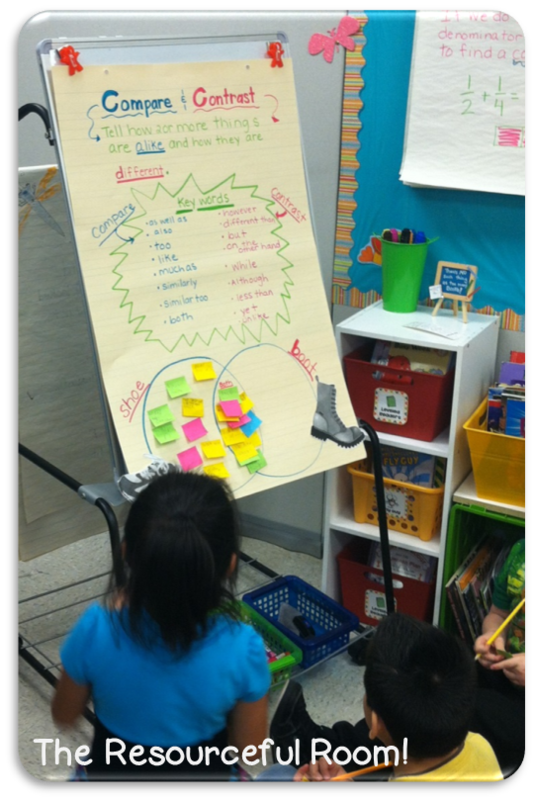 Then everyone went back and brainstormed ways that the shoe and the boot were different. 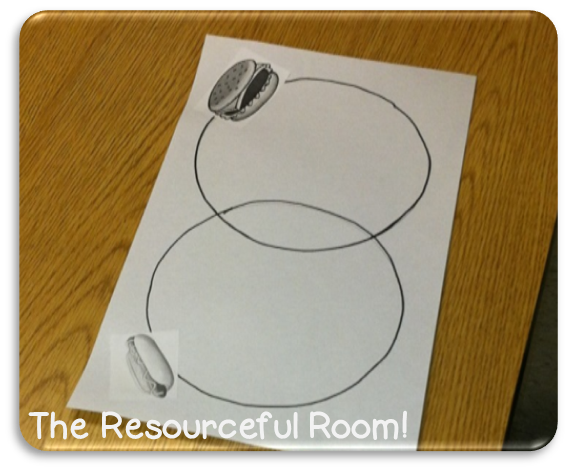 We went through the same process and placed our sticky notes in the respective circles on the diagram. They did such a great job, and I quickly realized that the visual of the shoe and boot were very helpful for them. So I looked up some images and created Venn Diagrams for them using two simple pictures. 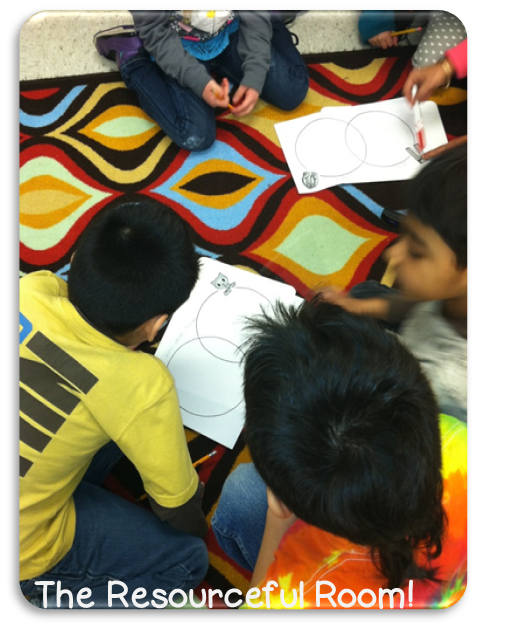 They worked in pairs to fill in the circles. We always start with how they are the same and work out! They were so excited and got right to work! I was super excited to see them getting this skill down and working together so well!! Comparing a chair and a couch. These two did a fabulous job! They were excited to share with the rest of the group! Great thinking going on all around the room! Teams shared their results with one other team and they helped each other change anything that needed to be changed, or add things they had not seen! Amazing work! I was so excited by their progress. We have done this with several pictures now and are moving on to reading short passages to compare and contrast. I just love it when you find something that really works for your students and the light bulbs start turning on. It's such a great reward to see them grow like that! 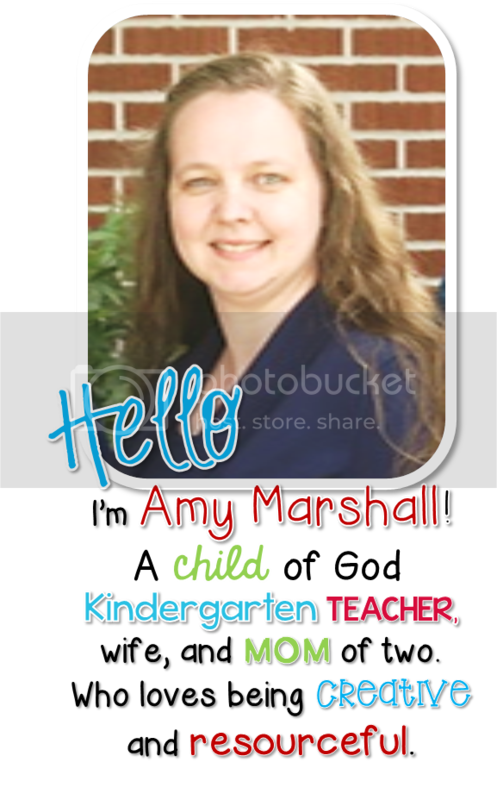 Because this worked so well for my students I decided to create a little freebie to share here on my blog! You can click on the picture below to get this mini-unit. 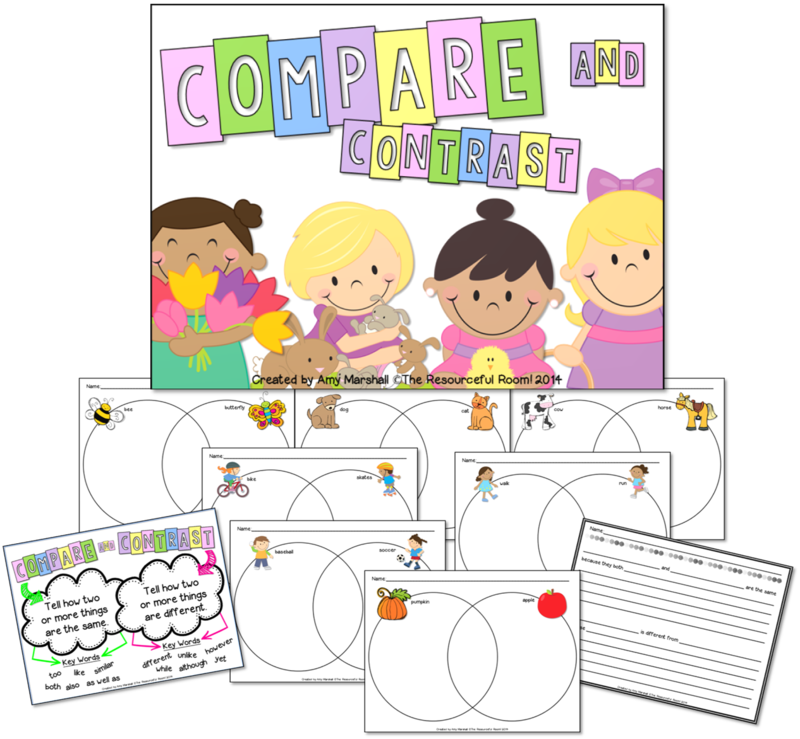 It includes the basic anchor chart, seven different Venn Diagrams with pictures and a paragraph writing template. I hope you can use this and I'd love to hear your feedback if you do! Thanks for reading! These are fantastic! Thank you so much for sharing. Can't wait to use this with my kiddos. Thank you so much for these awesome comparison papers. The kiddos will love them. Thanks for sharing.